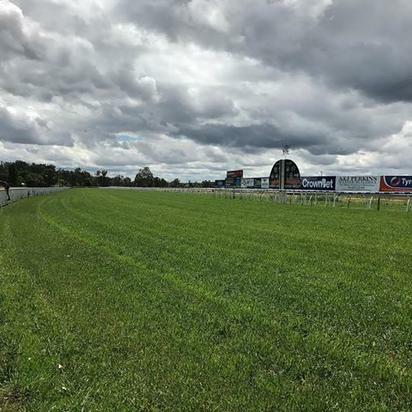 Wangaratta racing will be seen on Tuesday, January 2 with plenty a cloud cover about racing on a current soft (4). The Craig Widdison yard has accepted with three runners the first of which to enter in race two in 1170 class three-year-old maiden set weights conditions event with a first starter in Father Brown to be ridden by Nick Souquet jumping from barrier (9). Father Brown is a three-year-old gelding by Gods Own out of Diamonds For Molly and will utilise a tongue tie for the first time, he has not had any trials leading into this. Race 4 will see The Anytime Fitness maiden plate over 1400 m with the stable prepared Blaze Of Glory waiting for scratching as to gain a start in this with the four-year-old mare currently sitting as the third emergency elect. If she gains a start she will be ridden by Nick Souquet jumping from barrier 12 & was last seen finishing fifth of 16 over a mile. She should get a nice run behind genuine tempo having not won or placed previously 1st up from one outing in a career spanning only 3 starts. Race six will see the Crown Bet BM 64 handicap over 1590 m run with Mr Fergus representing the stable jumping from barrier 2 with Nick Souquet aboard. Last time out the last start winner finished first of 10/1400 m at Albury winning the event by 1.41 lengths after really knuckling down over the concluding 200m. He should get a nice run from the alley, & again looks a major player in this. Best of luck to all at Wangaratta on Tuesday.